Product prices and availability are accurate as of 2019-01-13 12:15:09 EST and are subject to change. Any price and availability information displayed on http://www.amazon.com/ at the time of purchase will apply to the purchase of this product. 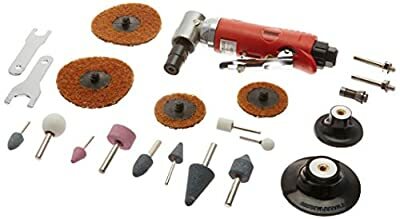 The OEMTOOLS 1/4 Inch Mini Angle Die Grinder and Surface Prep Kit is ideal for cleaning and polishing engine heads and detail sanding. 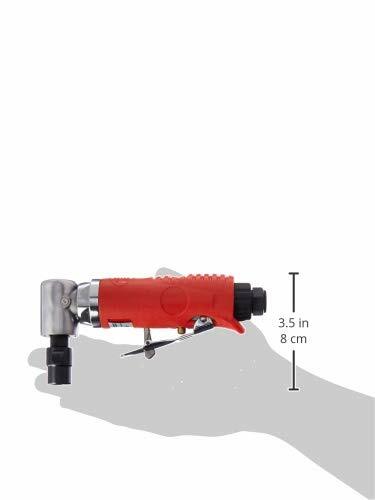 It features a right angle design perfect for getting into tight spaces and built-in safety paddle lever air control. 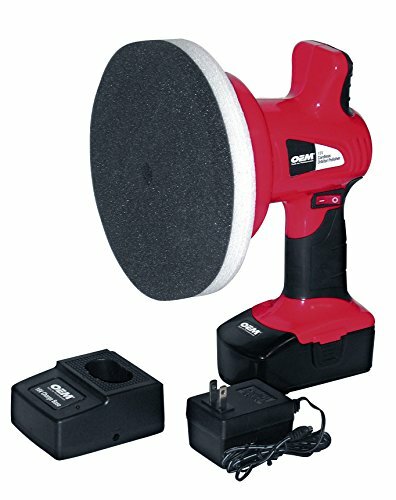 Its adjustable air throttle ensures control while getting the job done. 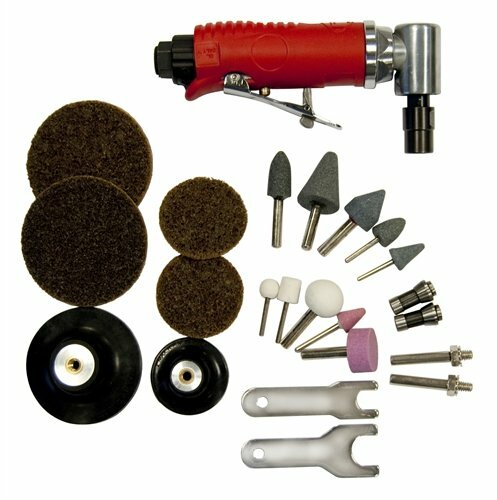 The kit comes in a heavy duty plastic tray and includes some of the popular accessories necessary for cleaning and deburring jobs.